This entry was posted in NAA Live Archives and tagged #NatCon15, 2015 National Convention, Alex Fitzgerald, Andy Albright, Andys Live Show, Angie Owens, Ebony Hinton, michael Owens, NAA, National Agents Alliance, The Alliance, The Live Show, The Wednesday Call Live, TWC. Bookmark the permalink. The Wednesday Call (TWC) for March 4, 2015: Andy Albright hosts a live conference call and meeting from National Agents Alliance Headquarters in Burlington, NC! Andy's live show covers all kinds of great topics, including training, information on team building, new developments that are in the works, and frank discussions with your fellow agents (beginner and top level managers alike!). If that wasn't enough, the live show also provides motivation and encouragement that will help get you fired up and ready to roll! Be sure to tune in and take advantage of the great info in The Wednesday Call. 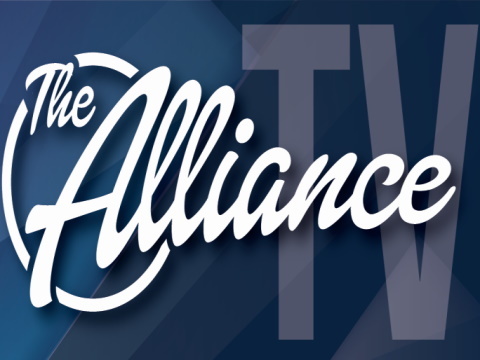 Andy Albright hosted a special edition of The Wednesday Call, featuring some of the best talks from The Alliance's National Convention earlier this year in Raleigh, N.C.
Michael and Angie Owens shared their story in the first segment. They explain what selling to eat means, and why they recruit to live now. Mr. NAActivity Barry Clarkson was up next and discussed working with purpose when it comes to NAActivity. Ebony Hinton, director of the Albright Entrepreneurs Village at N.C. State University, spoke at NatCon and her message was one of positivity and making a difference in the world. She told The Alliance that they are world changers because we help families. Alex Fitzgerald was up next and he talked about winning in 2015. He encouraged the audience to stay focused on what you want so that you can win. Andy Albright closed the show with a talk he gave at NatCon about having faith in your business and in people. The team is in place, now it is just a matter of how big The Alliance wants to be. The Live Show will air again on March 11, 2015 at 12:30 p.m. EDT. The Wednesday Call Live (TWC) for August 14, 2013: Andy Albright hosts a live conference call and meeting from National Agents Alliance Headquarters in Burlington, NC! Andy's live show covers all kinds of great topics, including training, information on team building, new developments that are in the works, and frank discussions with your fellow agents (beginner and top level managers alike!). If that wasn't enough, the live show also provides motivation and encouragement that will help get you fired up and ready to roll! The Live Show will air again on August 21, 2013 at 12:30 PM ET.